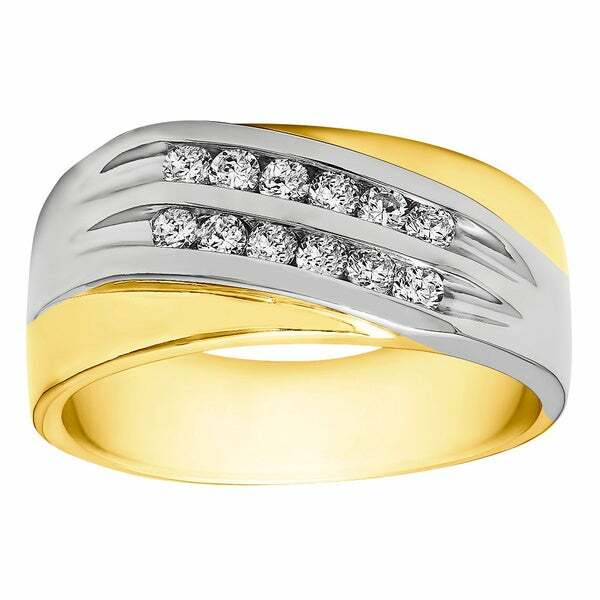 Two slanted rows of glittering white sapphires ensure that this wedding band is the ideal piece for your future husband. The gorgeous shine over three available metal options ensures that this will be a unique and handsome selection for your companion. All weights and measurements are approximate and may vary slightly from the listed information. *T.W. (total weight) is approximate. 2/5 carat T.W. may be 0.36 to 0.44 carats. Treatment code E (sapphire). See Treatment Guide for further information.